I've replaced my Scott-Mathauser brake pads. 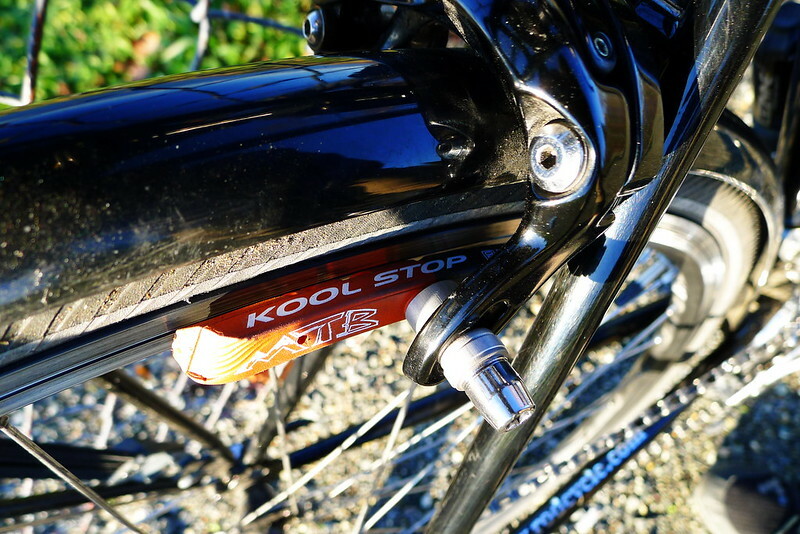 The salmon compound of the Scott-Mathauser shoes is excellent, but I think the design of the Kool Stop pads will be superior in inclement conditions. They offer dual compound pads that include both the salmon compound and a softer black compound to reduce squealing. I went with Mountain Pads in the rear and Dura Road Pads up front. This post was published on 2013-01-13 . It was modified on 2013-01-13 . It was tagged with micro, bicycle.